I love beer. No, not particularly as in boozing bucketloads of lager - been there, done that. I'm talking actually tasting the stuff, not quaffing it ad fundum. I literally, invariably (unless I drive) order beer with my food in restaurants. The right beers work so much better for me than wines. I'm blessed to be born in Holland, a nation with a strong beer drinking tradition and neighboring Belgium and Germany, two other nations with great beer drinking traditions. And this at a time and age where brewing beer is really booming, diversifying, and what's not. I've drunk a lot of different beers in my life, but there's still so many more yet to be discovered, I couldn't label myself a connaisseur. I'll start with my absolute favorite. This is a 'barley wine' type of Trappist beer - I love those kind of beers. I prefer to drink this one on fall/winter evenings, after dinner. 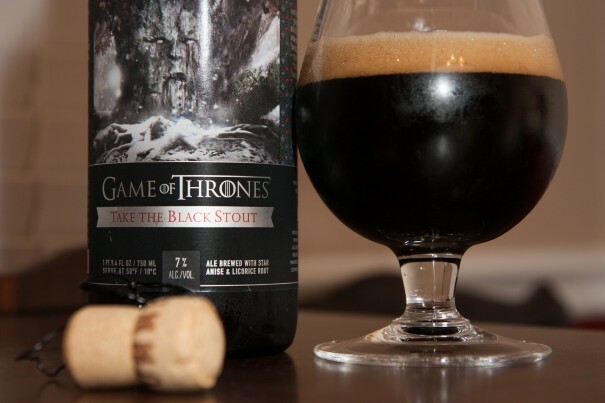 It's dark, strong and exceptionally heavy and so full of taste like you won't believe it. This one fills mouth and nose with a deep complex taste that just keeps developing during your sips. Soooo... what are your favorite beer(s), and equally important, why? My favorite beer is 'Tripel Karmeliet'. A golden brown brew, served with a huge creamy head. 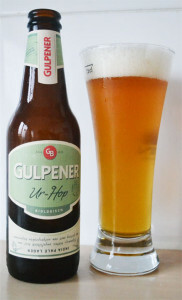 Vanilla blends with an orangey hop aroma and a wheaty light crispness. It also boasts an oaty creamy and a spicy, lemony, almost subtle dryness. There are a lot of Belgian beers I like, but this one is the best! I've always been a lightweight when it comes to drinking, so I've always prefered quality over quantity. Like Speler above, I'll generally order a good beer when out at a restaurant, but what I truly enjoy is pairing them with good cigars in the evening. A heavy stout goes great with an oily maduro, and I like to combine a good Witte with a Connecticut leaf cigar. They compliment each other nicely. I just so happen to live around the corner from what I personally believe to be one of the best breweries in the US, Brewery Ommegang. 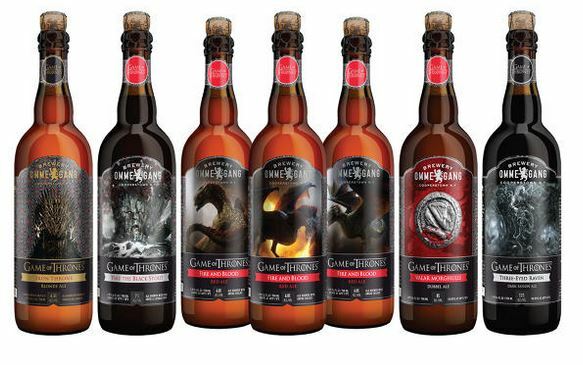 They specialize in Belgian style beers, and even have the fortune to have been picked to partner up with HBO in creating a line of "Game of Thrones" themed beers. Thus melding two things I absolutely love! The bottom pic is one of my favorites of theirs, it tastes like the darkest of coffees and is heavy like a big meal. It's all beer and bikinis at the beach in Sydney Australia. I also love beer, and especially the explosion of microbreweries and craft beers in the US.. as you can usually get a very good locally brewed beer almost anywhere, now... Here is one I stumbled across while on vacation in Biloxi, Mississippi. Lazy Magnolia Brewery.... On a recommendation from a waitress... Made my day on a hot day looking out over the Gulf of Mexico.. with a cold beer. Good call Nut, they make a fair number of good brews! @SmirkyOh yeah! Tripel Karmeliet. To me that's probably the best tasting triple I've ever had. I love that one. Interesting US beers! I should totally visit the US again. Last time I did was 10 years ago and to be honest most I saw there at that time was Bud, Bud and some more Bud. Oh and some Corona and Heineken. So much has changed beer-wise! Why do you think we sold Fosters to the British??? You will still see the same stuff mostly, I still can't figure out how it continues to sell. No offence to those who like it, but to me it tastes like a similarly colored bodily fluid. That cool to know about the IPA's making it over across the Atlantic. They have taken over the US like wildfire, but I thought it was just us drinking it. Good description of it. I would only add that most of them tend to be on the strong side alcohol content wise. Sierra Nevada, Dogfish head, and Stone Brewing Co. all make the best IPA's that I have tried. Vancouver has a great craft beer scene. 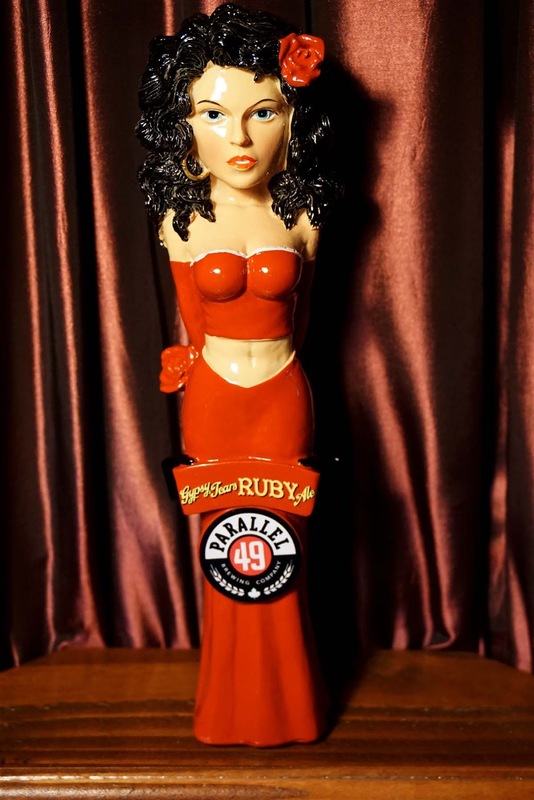 One of my favorites is parallel 49 Gypsy Tears. As has been said.... different situations, different weather, different foods.... they call for different beers. But here are some of my favorites. 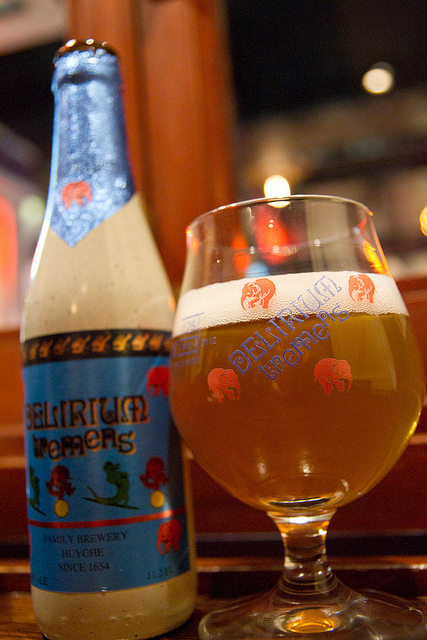 Delirium Tremens is Belgian..... perhaps the most versatile beer that I know of.... it goes well with pretty much everything! 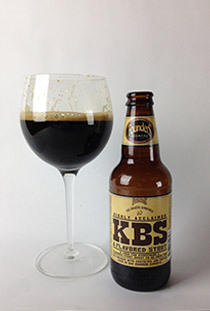 Founders Kentucky Breakfast Stout.... I'm a bourbon lover, so this is right up my alley! "It features hugely caramelized, vanilla bourbon flavors... But its most impressive achievement is that the beer underneath manages to be just as memorable and assertive, jam-packed with mouth-watering dark chocolate goodness. Every single taster used the word “balanced” somewhere in their notes, which isn’t really what we expected from something that tastes like the beer equivalent of bourbon chocolate ice cream." This brewery is relatively near me, and produces some great stuff!! Probably their best is the Skull Crushing Ape. "An amalgamation of three German brewing styles, Schwarz, Weisen and Dopple Bock, brought together with an American flair. The beer offers subtle chocolate notes from the Schwarz, banana and spice from the Weiss, and finishes with the intensity of a Dopple Bock. Chocolate, Banana, Punch." I also really like Bell's Oberon, Dogfish Head's Midas Touch, and Magic Hat's #9. That Skull Crushing Ape has me interested as well! 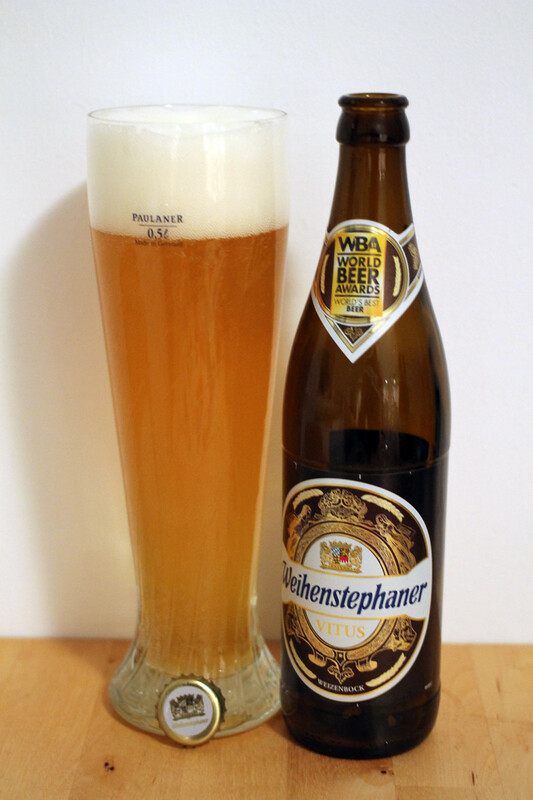 It's a Weizenbock, and it's my favorite wheat beer. It's taste is like wheat beer on steroids. First time I tasted it I was at a disbelief that a beer like this could be made just from water, wheat, yeast and hop alone. My friends actually own this Meadery. It's rad.